The boys started getting antsy as they always do when they have to wait for food, cookies no less! Then out of the oven they came, I let them cool, by now a full on barking fit had overcome Newton. Finally I dusted with powder sugar and gave one a try. I thought huh, all that for a regular cookie. I’d be lying if I said I wasn’t disappointed but wait for it…within 2 minutes I must have eaten 7 cookies. My gosh they are so addictive. At first they just seem like a run of the mill cookie. Cookie filler on a platter of holiday treats but no, no, no. I bet money these will be the first to be eaten up if you had yourself a little cookie buffet. That vanilla sugar is subtle but yummy and I regret my first if reaction of not worth the time it took. Life lesson kids, no snap judgements. 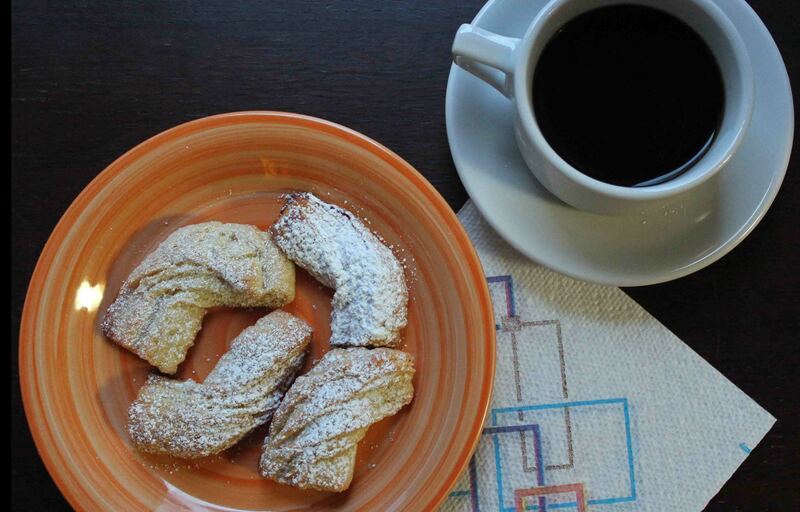 There is cookie magic out there if you give things a try. If you don’t believe me just ask Newton, he went bonkers for them. In bowl, combine warm water, yeast and 1/2 teaspoon of sugar and let sit until frothy, about 10 minutes. In the bowl of an electric mixer combine the flour and salt and cut in the chilled butter. Set aside. After the yeast mix has proofed add in the eggs, sour cream, yogurt and 1 teaspoon vanilla and mix. With dough hook on mixer add egg and yeast mixture to flour and knead until a smooth dough forms, about 5 minutes give or take. 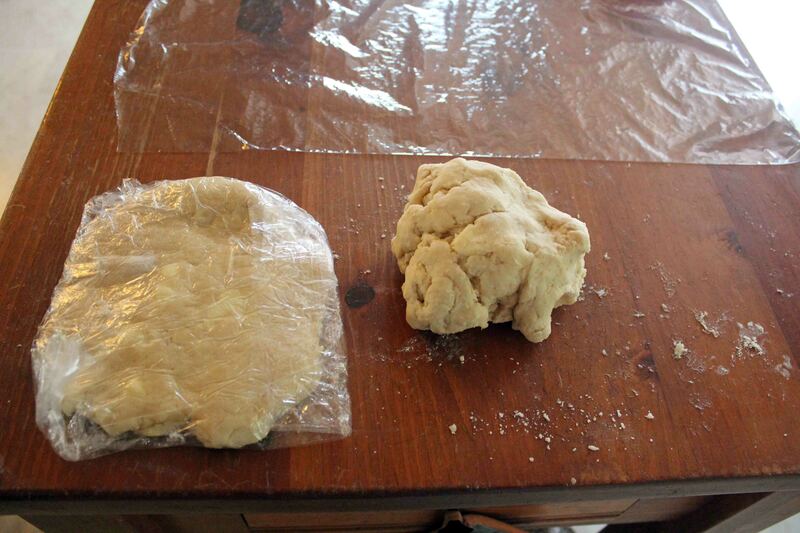 Remove dough from bowl and divide into two patties. Wrap in plastic and chill for at least 4 hours or overnight. In a medium bowl add 1 + 1/2 cups sugar and 2 teaspoons vanilla and mix. When ready to make cookies place 1/2 of vanilla sugar mix on a dry surface and place one of the dough patties on top. Roll into a 16×8 ” rectangle. (mine never get to just the right size, such is my life, I always fall a bit short) Scoop up sugar from the edges and place on the dough. With the long end toward you fold edges toward the center making three equal layers. 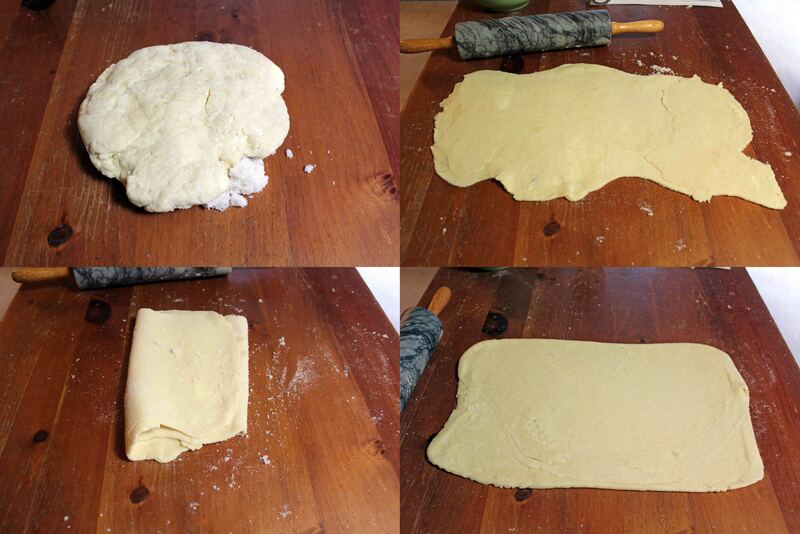 Reroll out to as close to 16×8 ” again and rescoop sugar and place on dough again don’t let any go to waste! Then again fold the sides in. Repeat these steps two more times. Arm workout! 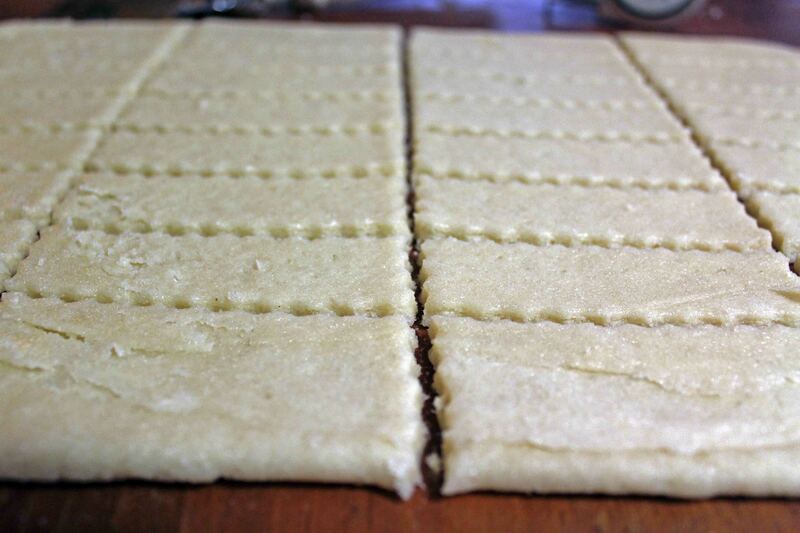 After you get to your last 16×8″ rectangle cut the dough lengthwise into 8, 1 ” strips then each strip into 4, 4″ strips. You should have 32 cookies, I did not. It’s okay if you didn’t either, we are all winners because we are going to have cookies soon! Now you want to put two baking pans together and line with parchment paper. 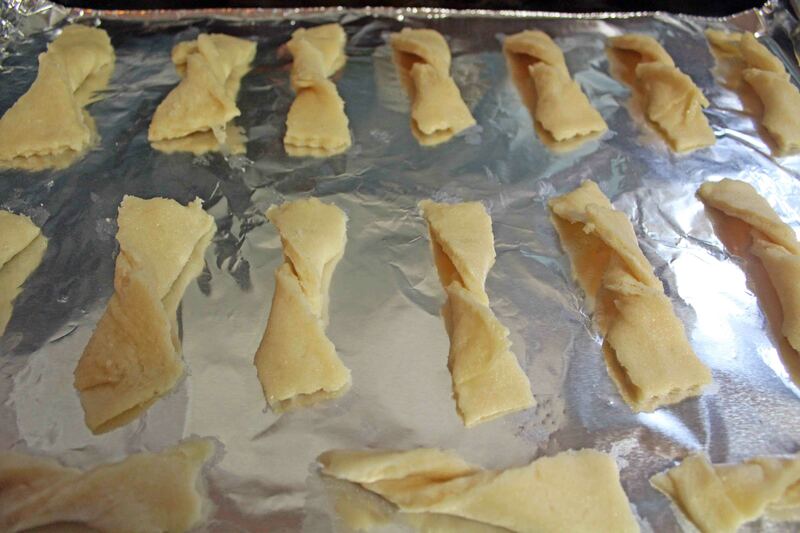 Take each strip and give a twist and have the ends flat on the baking pan. I had trouble with this and experimented you can too, the cookies will still be yummy and we may come up with a neat looking cookie to wow are friends with! 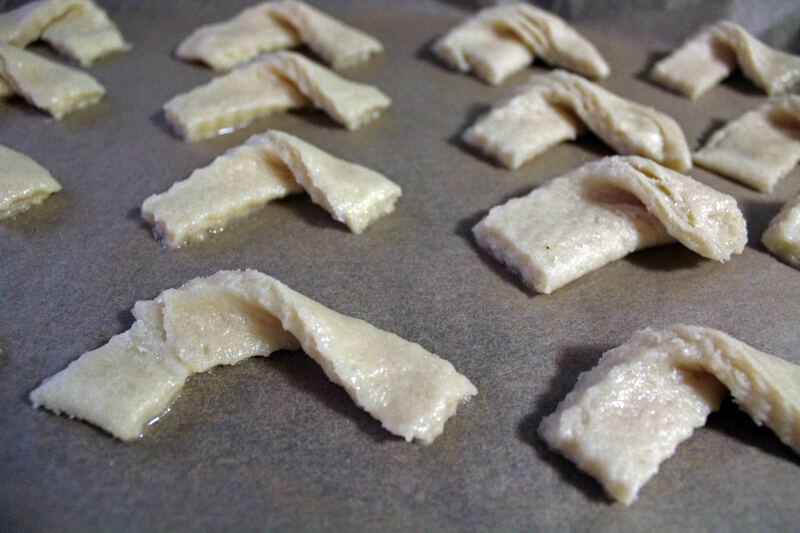 Bake in a 375 degree preheated oven for 15 – 20 minutes. Let cool for a few minutes then transfer to a cooling rack so the sugar doesn’t stick. 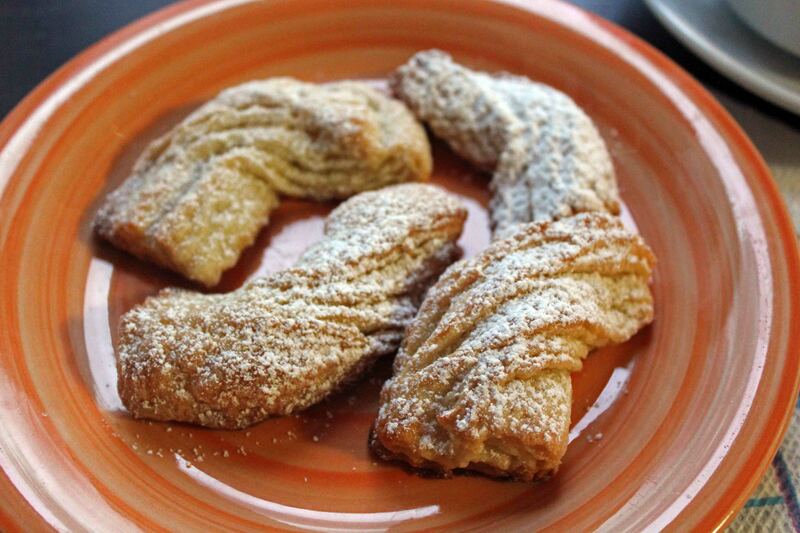 When cooled completely dust with powder sugar and Enjoy! 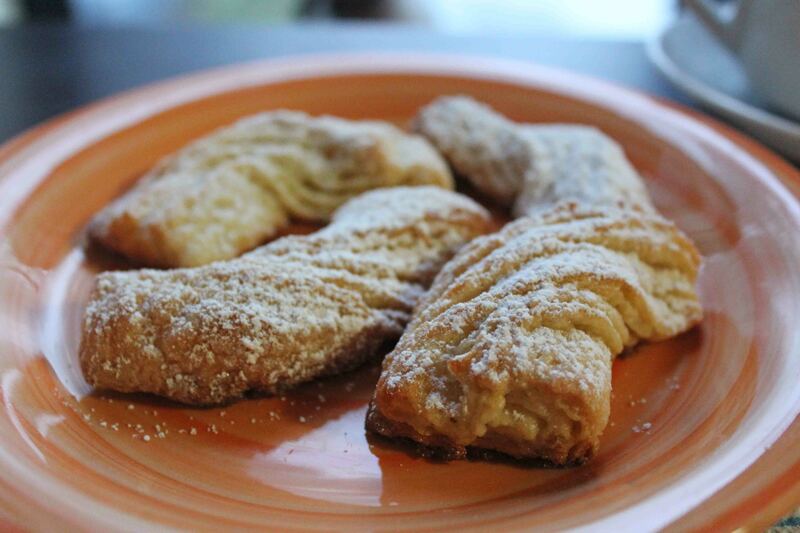 Repeat steps with remaining dough and sugar. 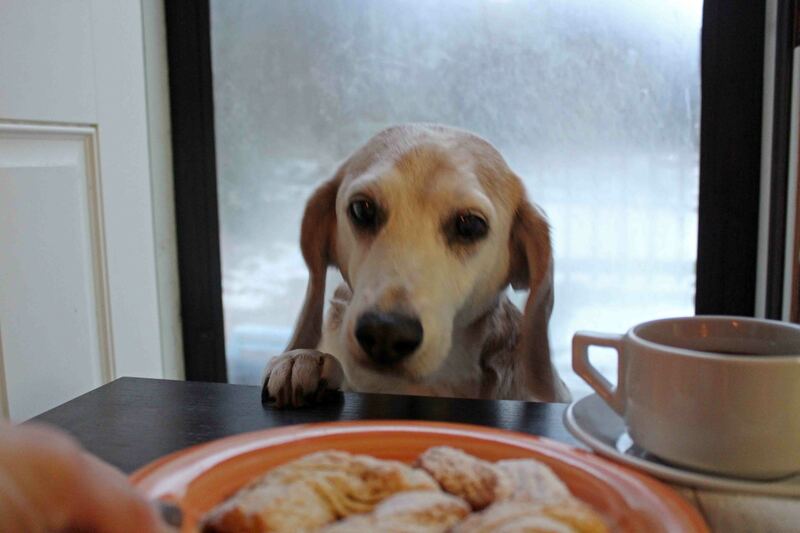 Get ready to start getting harassed by beagles who know a good cookie when they see one.